Carpenter ants burrow into wood to make their nests. Unlike termites, carpenter ants don’t eat wood. However, they can easily destroy property by building their nests in your home and contaminate your food. 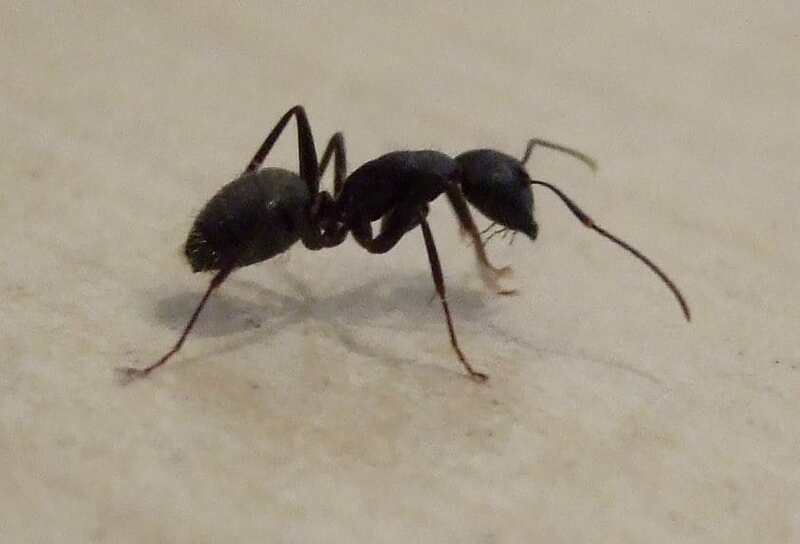 If you have spotted these ants in your home, it’s time to take action. If you don’t take action NOW, these ants will quickly become a nuisance and difficult to control. Here are the 5 things you can do to get rid of carpenter ants before they take control of your property. 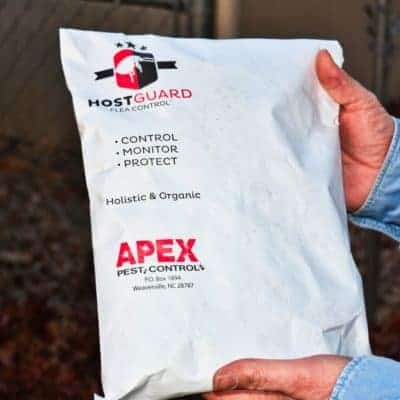 Carpenter Ant collonies are notoriously difficult to deal with and very often the pest control products that you can buy off the shelf, will not be enough to deal with this issue. 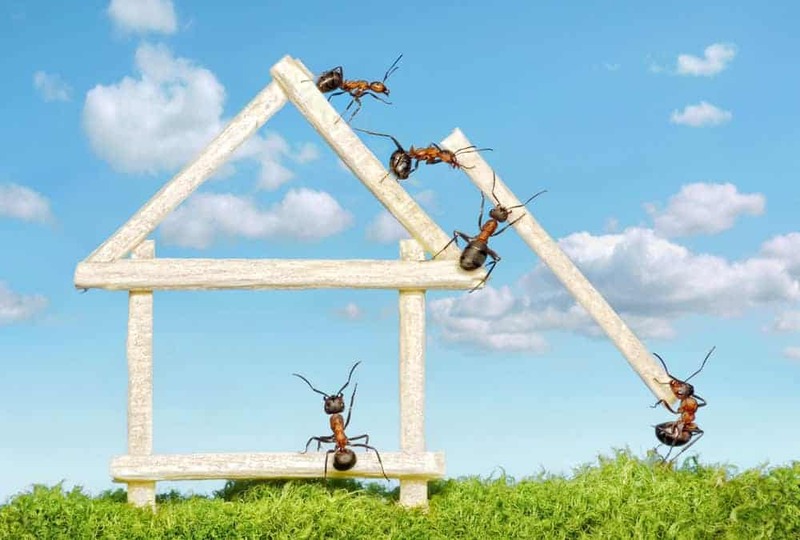 Call a pest control specialist to deal with carpenter ant issues. If you have seen carpenter ant workers in your home, it’s a sign that these ants have built a colony somewhere in your home or very close to your home. You will see the workers out forraging and looking for food, which of course is determined by the feeding cycle of the colony. During a severe infestation, you will notice these additional signs. Now it’s time to find the nest of these large black insects. 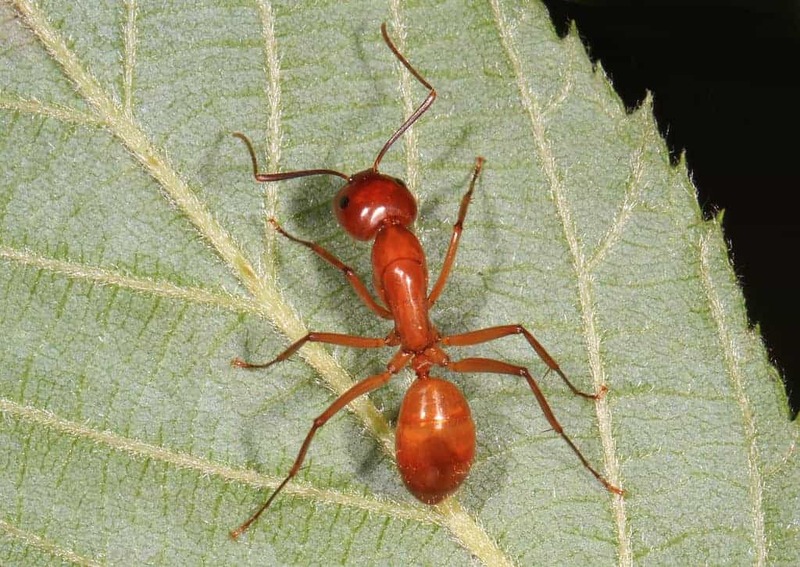 These ants have large bodies supported by six legs. It’s important to find the nest so that you can prevent the ants from coming back. However, if they are coming in your home only for foraging food, you can get rid of them by simply disposing off food properly. If you have seen carpenter ants around food, simply follow the tail to find out the nest. Alternatively, you can set food bait for ants and follow the trail. In case the ants are elsewhere in your home, look for sawdust like material under furniture and other wood items. It will help you find the area on wood where these ants have burrowed to make a nest inside. After finding the nest, you can easily get rid of carpenter ants. Simply set toxic bait so that ants die when they eat the toxin. Make sure you set the bait closer to the ant colony to make the most of it. Ants will also take the bait back to their nest where other ants will consume it and die. It’s a great method when you can’t access the colony. Make sure you use slow-acting bait so that ants can actually take it back to their nest before they die with the poison. If you can access a carpenter ant nest directly, you can get rid of them by simply using carpenter ant dust. Most of non-toxic carpenter ant dust is actually diatomaceous earth, which is safe to use in home with pets and children. Finally, you need to prevent these ants from coming back. Follow these steps. Carpenter ants are not as dangerous as termites but they can still damage furniture and other wood items. They can jump into your food as some of these ants have wings. Getting rid of them is easy but if the infestation is severe, you may have to call professional pest control. Traci walker on Why Is Winter Ideal For Killing Fleas? Fleamail on Why Is Winter Ideal For Killing Fleas? Visa, American Express, Mastercard and Discover. Please call our office at 828.231.3553.